Both Natural Resources Defense Council and Sierra Club Foundation also accepted tens of millions from the Energy Foundation, the top recipient of grants from Sea Change, according to foundation and tax records. Most recently, the two environmental groups scored another victory when the Delaware River Basin Commission, an interstate regulatory agency that includes the governors of New York, New Jersey, Pennsylvania, and Delaware, proposed a ban on fracking within the Delaware River Basin cutting across all four states. The Sierra Club and the Natural Resource Defense Council have pressed the regional commission to impose the ban, issuing statements (here and here) calling for restrictions that are tighter than what the commission proposed. PennEast Pipeline Co. is set to begin construction on a 120-mile-long pipeline to transport natural gas from the Marcellus Shale across Eastern Pennsylvania into New Jersey. In a new public relations campaign, PennEast asks New Jersey residents if they would rather obtain their energy from Pennsylvania or Russia. PennEast cites media reports describing how anti-pipeline policies in Massachusetts forced the state into a position where it had to rely on Russian imports of liquified natural gas during peak cold periods this past winter. Government officials and environmental leaders have a responsibility to track the money, Stiles, the former CIA officer, told The Daily Signal in an interview. Whether these environmental groups realize it or not, they could be operating as what we [in the CIA] call ‘agents of influence.’ By working to block natural gas production, environmental activists are advancing policies that work to the advantage of Russia and to the disadvantage of America and America’s allies. Karen Moreau, who is in charge of the New York office of the American Petroleum Institute, a trade association for gas and oil companies, argues that the resulting policy hurts state residents and businesses. “New York remains at a disadvantage because other states are not just more pro-energy, they are more pro-business and therefore pipelines that could have been constructed in New York taking gas from the Marcellus Shale are instead moving south, not north,” Moreau told The Daily Signal. “The manufacturing renaissance that is taking place in this country thanks to the president’s policies is not happening in states like New York,” she said. A senior adviser to the State Department told a recent conference that Trump administration policies supporting energy dominance could help the U.S. eclipse the amount of natural gas Russia exports to the European Union. The Daily Signal unsuccessfully sought comment from the Sierra Club Foundation and its affiliate the Sierra Club, as well as Natural Resources Defense Council and Sea Change Foundation, on the allegations of Russian financial support for environmentalists’ anti-fracking and anti-pipeline campaigns. The Marcellus Shale is a geological formation of sedimentary rock with large deposits of natural gas that cuts across southwestern New York, northern and western Pennsylvania, western Ohio, most of West Virginia, and small portions of Kentucky and Tennessee. In the fracking technique applied to shale formations, engineers inject water mixed with sand and chemicals into a well at high pressure, producing a fluid that fractures the rock and releases trapped oil or natural gas. Environmentalists continue to challenge fracking, arguing among other things that it contaminates well water. The natural gas import-export equation has changed radically in the past few years, with trends pointing to the U.S. becoming a net exporter. Richard Westerdale, the senior adviser with the State Department, made this point in November during the Heartland Institute’s America First Energy Conference in Houston, Texas. In three of the first five months of 2017, U.S. natural gas exports were greater than imports, according to the U.S. Energy Information Administration. The most recent available data shows that U.S. exports of liquefied natural gas increased for the duration of 2017 as new facilities went operational. One way for Moscow to conceal its sponsorship of anti-fracking campaigns in New York or elsewhere in the U.S. is to move its funding indirectly and anonymously through various entities, the former CIA analyst told The Daily Signal. The agents of influence described by Stiles range from “controlled agents” and “trusted contacts” who know they’re working for a foreign government to “manipulated sources” who have no idea that they’re doing the bidding of a foreign power. The former CIA analyst said he is inclined to characterize environmental activists who received Russian funding through indirect channels, such as Sea Change or the Energy Foundation, as manipulated sources. Stiles calls on the leadership of environmental groups such as the Sierra Club and Natural Resources Defense Council, which accepted large amounts through such channels, to start asking hard questions. Sea Change Foundation, a family charity, is identified in congressional reports and correspondence as a major incubator of funding from foreign sources, including Russia. That money ends up in the coffers of U.S. environmental groups opposed to natural gas development and drilling techniques such as fracking that make that development possible. Nathaniel Simons and his wife, Laura Baxter-Simons, established Sea Change Foundation in 2006. Simons is the son of James Simons, founder of the New York-based Renaissance Technologies hedge fund firm. Bermuda law permits Klein Ltd. to conceal foreign sources of funding, the report explains. “It appears that Klein exists on paper only, as it does not have an internet presence, and was set up for the sole purpose of funneling anonymous donations to Sea Change,” the report says. Subsequent investigations building on the findings of the Senate committee—including that of the Washington-based Environmental Policy Alliance—established a connection between Wakefield Quin, the law firm that set up Klein, and top Kremlin officials, including Russian President Vladimir Putin. Lawyers and others at Wakefield Quin have been associated with Russian energy companies and worked with Leonid Reiman, a former Russian minister of telecommunications and longtime Putin ally, these investigations found. Environmental Policy Alliance, which opposes the agenda of liberal green groups, is affiliated with Washington lobbyist Rick Berman and his Berman & Co. public affairs firm. Sea Change has not responded directly to The Daily Signal in the past, and did not respond for this report. In an email to Salon, however, the foundation in July 2017 acknowledged receiving financial support from Klein, saying it accepted the company’s grant money as “general support” with no proviso that it be used for specific programs. Forrest made similar assertions in an email to The Washington Times in July 2017. The Daily Signal had sought the law firm’s comment on allegations of Russian funding of U.S. environmental groups and Klein’s alleged role in easing movement of Russian funds to the Sea Change Foundation. Attorneys, law firms, financial institutions and all other companies based in Bermuda operate under a regulatory and anti-money laundering regime which applies standards which are amongst the highest in the world. Illicit movement of funds falls well below such standards and any informed party would understand that, not only is there no substance or truth to such allegations in this case, the allegations appear to be intended to damage the reputation of the Bermuda-based individuals and businesses named. 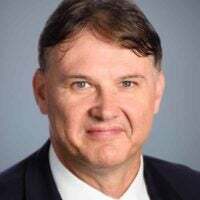 Bermuda and the U.S. have in place an information exchange framework under which the U.S. government, its regulators and law enforcement agencies have access to all information concerning financial transactions in Bermuda and by Bermuda entities. Through this framework, information is available to such proper authorities, enabling them to be satisfied as to the probity of any alleged payments. Julie Hill, a professor at University of Alabama School of Law with expertise in regulation of financial institutions, told The Daily Signal that it is not “as easy as it was at one time to engage in money laundering” in places such as Bermuda and the Cayman Islands. That’s because monetary authorities now collect more information from companies than they did previously, Hill said. The advantage in Bermuda and the Cayman Islands now would be more in terms of tax neutrality rather than anonymity. But it’s certainly true that various entities have in the past engaged in money laundering schemes in these locations, and the Russians would be part of this history. Today there are more barriers than in the past. That doesn’t mean it can’t be done, it just means it’s harder. Rep. Lamar Smith, R-Texas, chairman of the House Committee on Science, Space and Technology, sent a letter in June to Treasury Secretary Steven Mnuchin saying allegations of Russian financial support for U.S. environmental groups “are ripe for an investigation” by the Treasury Department. In the letter, previously reported by The Daily Signal, Smith noted that Klein Ltd. and Wakefield Quin share the same Bermuda address “with more than 20 other companies” apparently run through the law firm. A review of IRS 990 Forms shows that Klein contributed $23 million to Sea Change in 2010 and 2011, almost half of what the California foundation received in that time. The 990 forms indicate Sea Change then made grants concentrated on environmental advocacy groups. From 2010 through 2015, the Sierra Club Foundation received more than $18 million from Sea Change and Natural Resources Defense Council received more than $15 million. Both groups are on record opposing natural gas development in New York, and both are among the top 10 recipients of Sea Change grants, according to an analysis of foundation records. The Energy Foundation, at $64 million, was the top recipient of Sea Change grants from 2010 through 2015, the most recent year for which 990s are available. The 2014 Senate report describes the Energy Foundation as a “pass through” public charity that donates to environmental activist groups such as the Sierra Club Foundation and Natural Resources Defense Council. The idea behind a “pass through” organization, according to the Senate report, is “to create the appearance of a more diversified base of support” and to “shield” donors from accountability. Between 1998 and 2015, the Energy Foundation paid 30,178 grants to 12,058 recipients totaling more than $1.2 billion, records show. Grantees included environmental groups active in opposing natural gas development of the Marcellus Shale. In the 1980s, Ronald Reagan had one heck of a time trying to enlist the support of our Western allies in blocking the Siberian gas pipeline in Russia. Even [British Prime Minister] Margaret Thatcher balked; in fact, that’s an understatement: Thatcher was vehemently opposed because she wanted Britain to have the cheap Russian gas and wanted some British firms to have some of the construction contracts. The same was true for the West Germans and the French. Ronald Reagan boldly proceeded almost alone in this effort in the 1980s. But here today … we have the extremely troubling possibility of our own U.S. citizens being targeted by the Russians for manipulation in undercutting our own domestic energy industry, our workers, and our citizens. What stands out in terms of Cold War history and its relevance to contemporary questions of espionage is the role of Putin, warns Bonner Cohen, a senior fellow with the National Center for Public Policy Research, a Washington-based think tank that supports free market solutions to policy challenges. “Putin, let’s not forget, is an old hand at using Western pressure groups to serve the Kremlin’s purposes,” Cohen said in an email. Though that effort ultimately failed, Putin learned his lesson well. Then it was U.S. missiles to defend Western Europe that had to be demonized; today, it is U.S. oil and natural gas that are portrayed as a threat. In both cases, money changed hands, and scare tactics were the order of the day. New York residents continue to pay the price for Cuomo’s ban on drilling techniques that make it possible to access natural gas from the Marcellus Shale, laments Moreau, executive director of the American Petroleum Institute’s New York office. The 625 members of API, a national trade association, include major energy companies in the oil and gas industry. Although New York is the fourth-largest consumer of natural gas in the nation, that natural gas primarily is imported from other states, Moreau said. “If not for the pro-energy development policies of other states, New Yorkers would be bitterly freezing this winter,” she said. 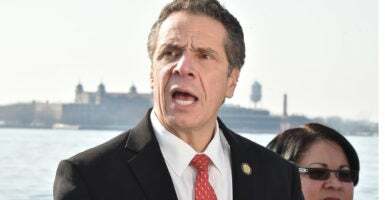 The Daily Signal sought comment from Cuomo’s office to ask if the New York governor had concerns about allegations of Russian support for environmental groups active in his state. His office has not responded. Cohen, of the National Center for Public Policy Research, said he sees a connection between Putin’s government in Moscow and influential U.S. environmental groups that is difficult to deny. Some green groups and Russia under Putin “have a common interest in demonizing fracking and related technologies that have tilted global energy markets in America’s favor,” Cohen said.